These days audience is looking for good content instead of big face in Hindi films. 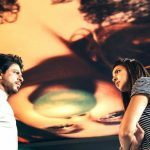 This is the reason last week released superstar Shahrukh Khan starrer biggie like Jab Harry Met Sejal has crashed down badly at box office within in the opening week. Now it doesn’t even seem to survive after the second week. Directed by Imtiaz Ali, SRK-Anushka Sharma starrer this romantic drama was released with huge expectations ofcourse due to solid star power and wide scale promotions, but still got failed to witness desired response at box office. Also it received mixed reviews from critics as well as audience because of weak content and music. JHMS started the journey on a good-enough note because of high initial buzz, but due to mixed reviews it got failed to show any considerable jump over the weekend. 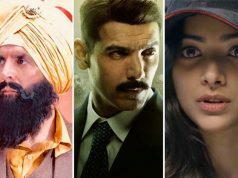 With heavy drops in weekdays, it did the business of total 59.75 crores in first week that included 45.75 crores of weekend and 14 crores of weekdays from 3200 screens nationwide. Now Jab Harry Met Sejal is running in it’s second week and getting limited footfalls in theaters across the country, as newly released Akshay Kumar’s Toilet Ek Prem Katha has diverted almost all the audience toward itself. In the second weekend, JHMS added only 2.85 crores to it’s account, with 0.75 crore on Friday, 1.10 crore on Saturday and 1 crore on Sunday. Red Chillies Entertainment’s recent presentation is once again in weekdays now and just counting it’s last days of life. On 2nd Monday, the movie faced considerable drop than Friday and minted 0.50 crore. Then on Tuesday, despite holiday of Independence Day it hasn’t showed any growth and garnered 0.45 crore. With this, total 12 days collection of Jab Harry Met Sejal has become 63.55 crores at domestic box office. 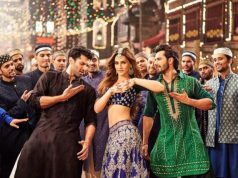 It is very disappointing for Shahrukh and his fans as well, because his recent offering has emerged as the biggest commercial disaster of 2017 so far.